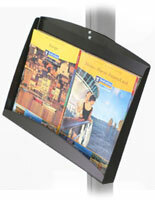 A acrylic brochure holder is an ideal literature holder that is useful in any business environment. 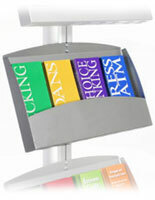 This literature display, acrylic brochure holder is fabricated for durability to last for years. 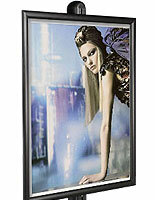 The clear plastic allows customers to see an unobstructed view of your brochures. 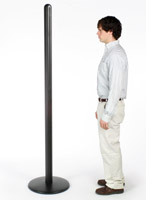 An acrylic brochure holder, also known as a literature display, is an accessory that is made for our FORTE series banner poles. 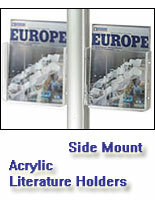 You can place an acrylic brochure holder alone, or purchase other accessories to customize your display pole. 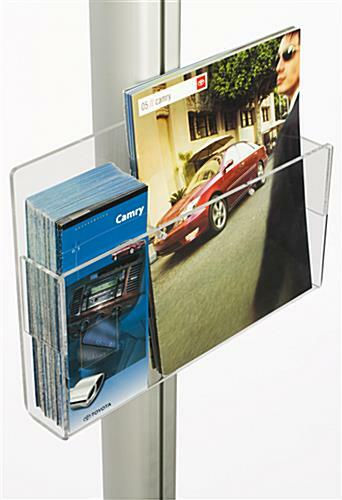 The acrylic brochure holder features removable dividers to accommodate both trifold brochures and 8-1/2" x 11" literature. 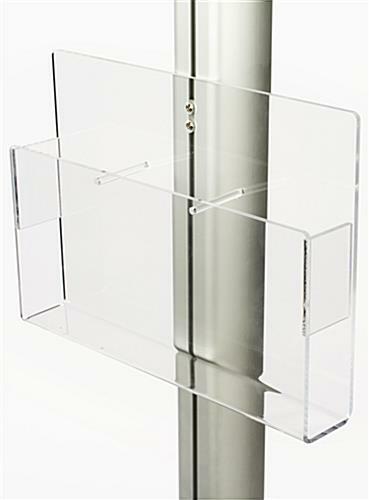 An acrylic brochure holder is 2" d, giving you plenty of room to place a large amount of literature, pamphlets, or other information. 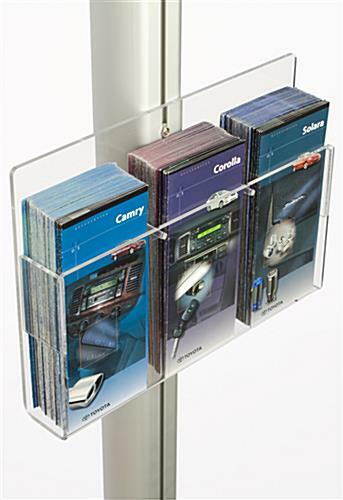 We provide this acrylic brochure holder with a connector on the back side that slides into the poles' groove for a placement at a preferred height. 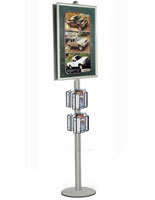 An acrylic brochure holder accentuates any banner pole, especially when combined with other accessories like a poster frame. 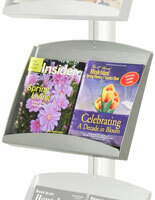 The literature display, acrylic brochure holder lends a professional distinction to your décor! 14.0" x 14.5" x 2.4"